Legendary apple grower Bill Evans, who along with his wife, Jeannette, farmed more apple acreage than any grower in the U.S., has passed away. He was 87. The Evanses, owners of Evans Fruit Company in Cowiche, WA, were named American Fruit Grower magazine’s Apple Growers of the Year in 2014. The pair started their business with a 10 acre plot in 1949. They added a packing shed 10 years later, and the operation has since grown to encompass 8,700 acres of primarily apples, along with some cherries, in the Mattawa, Moxee, and Yakima areas. David Eddy, Editor of American Fruit Grower and Western Fruit Grower magazines, visited the Evans family operation and says he was struck by Bill’s reserved demeanor, his work ethic, and innovative spirit that led to success over such a long period. “He didn’t talk much, but he didn’t have to. Actions speak louder than words, and Bill Evans showed hard work speaks loudest of all,” Eddy says. 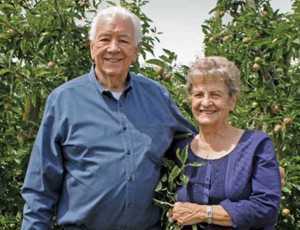 Read more here about the 2014 Apple Growers of the Year, Bill and Jeannette Evans. 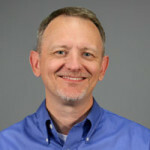 Richard Jones is the group editor for American Vegetable Grower, American Fruit Grower and Florida Grower magazines. See all author stories here.